justthefood.com...the blog: Ooooh, They have claws! Ooooh, They have claws! 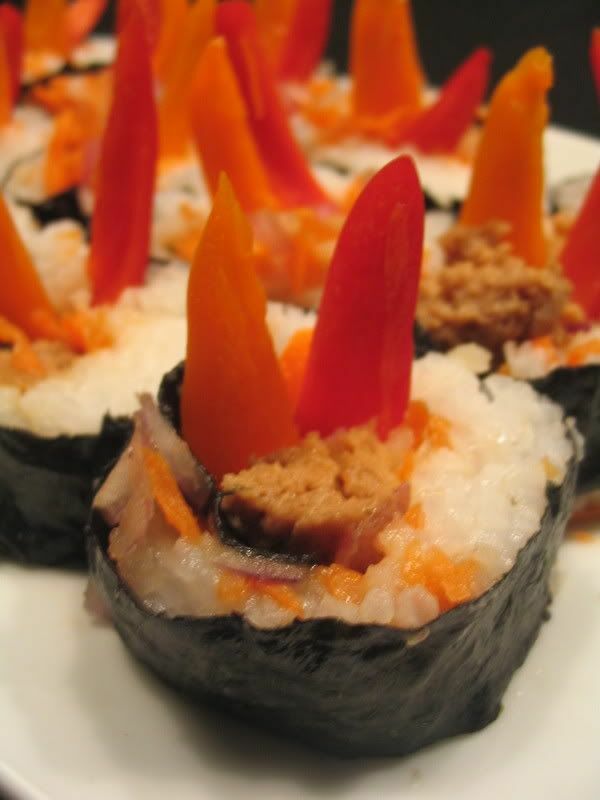 Tonight's delicacy...Seitan Sushi! 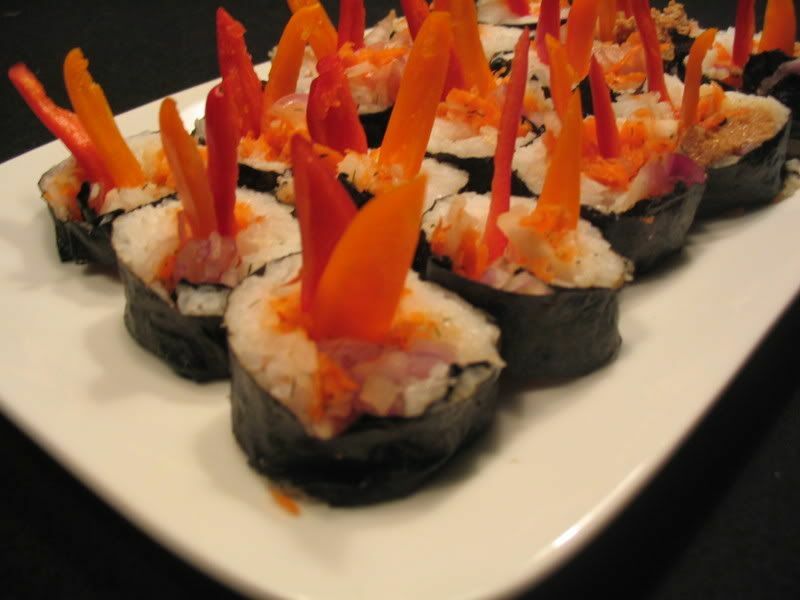 Jasmine rice, shallots, carrots, seitan, red & yellow peppers tightly rolled in some toasted nori sheets.